Hanging technique for reversible quilt? Thread: Hanging technique for reversible quilt? I'm making a wall hanging that will be chenille on one side and a pretty tree panel on the back. I may want to reverse it for fall and spring, but my usual hanging technique won't work for that. I would appreciate any ideas you may have. Making hanging tabs at the top of the quilt instead of a traditional sleeve would allow you to reverse it. You can google hang tabs for a quilt and there are several You Tube tutes and blogs. I'm not sure how big your quilt is but I use command strips on my small-ish wall quilts. They work great. I have seen wooden holders that you can put on the wall, and they can be tightened to hold the quilt. ​Maybe the curtain rings with the little clothespin with teeth would work. 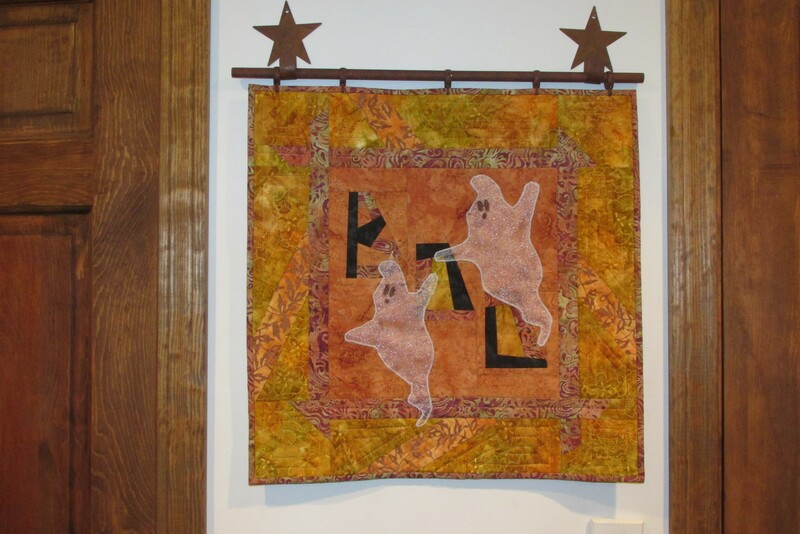 I hang all my quilts using the nice look drapery rods with all the different nice looking hooks you can use. The rods expand to what ever size you want. I've made several simple sleeves that can be pinned to quilts that "become" wall hangings and then taken off when the piece is to be a quilt again. A bed without a quilt is like a sky without stars. I was wondering the same thing. Hang tabs are a good idea. Kind of confused how this works with the binding though. I will google it tonight to find some directions. I have put invisible sleeves on several quilts. That works better with a tied quilt or a do-it-myself quilt job. The top few inches of the backing are left loose and folded back. A lining is laid on and then the quilting is continued on those few inches of the quilt back and on the piece of back that was folded down. The edges of that lining is finished so it looks nice putting some of the backing fabric where it might show in the finished quilt. Then the binding is put on, including the now lined piece of back with the rest of the layers. I took one of these to a quilt show and was scolded because I didn't have a sleeve on it. There is just a slit on each end of the top of the back. You could sew in tab loops along the top...like tab top curtains.